Spend the first half of the day exploring the Souks of Bur Dubai, riding an abra across Dubai Creek and learning about the history of Dubai at the Dubai Museum. Before heading to new Dubai, stop by Jumeriah Mosque and enjoy some camel milk ice-cream. Then head to Downtown Dubai and discover modern Dubai. Marvel at the world's tallest building, the Burj Khalifa, and the surrounding man made lake before heading inside to discover what Dubai Mall has to offer. This mall isn't just full of designer outlets but has an aquarium, ice rink, man made waterfall and loads of places to eat. Finish the day of by enjoying Dubai nightlife at Pier 7 or Jumeriah Beach Hotel. When people think of the United Arab Emirates (UAE), they tend to think of Dubai and Abu Dhabi however there are seven emirates in total that make up the UAE. 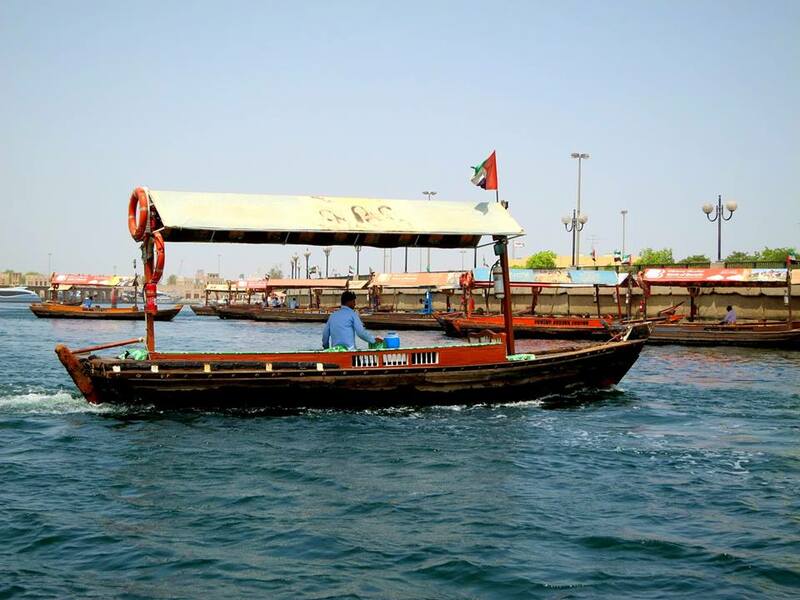 Book a day trip and explore some of the other Emirates. I did a tour of the East Coast with Orient Tours (I booked via Viator but I would recommend booking directly with Orient Tours as its probably cheaper and Viator were the worst with communication, in that they never responded to my many emails re confirmations and follow ups!) which took us to Sharjah and Fujirah, two other Emirates that make up UAE. The tour will take you through the mountains, the Gulf of Oman, the oldest mosque in the UAE, Fujirah Fort and a few markets. 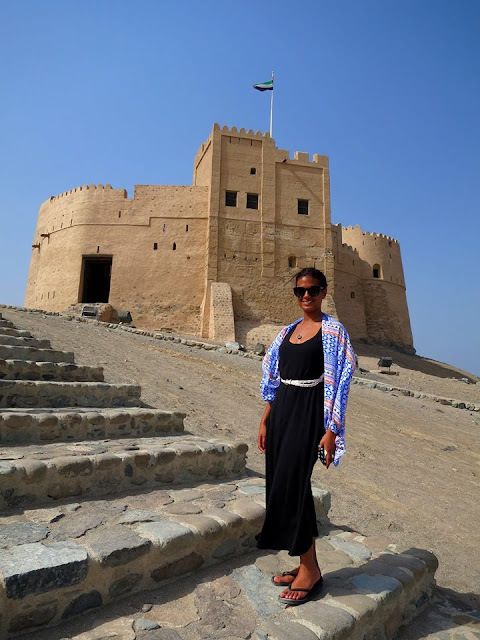 Even though I was the solo traveller among 5 other older couples I really enjoyed the tour as it gave me glimpses into the more traditional side of the UAE and the tour guide was really engaging and informative and I learnt a lot about the local culture and customs. The other benefit is they pick up and drop you off at your hotel in Dubai. Day 3: Let's Go to the Capital! Abu Dhabi is the capital of the UAE and a day trip from Dubai to Abu Dhabi is totally doable, in fact our decision to go was totally last minute (read the full report here). A bus from Dubai to Abu Dhabi takes about two hours and costs $25 AED. Once there enjoy the shopping, take in the beauty of Sheikh Zayed Grand Mosque, or have play on the man-made Island, Yas Island which holds such fun as Ferrari World and water parks. Today is about ticking off a few more touristy things in Dubai. In the morning, head to Dubai's palm shaped man-made island, The Palm and walk around Atlantis, the luxury hotel there. You can enjoy the water park or restaurants, or be like us and just explore and take an obligatory tourist photo outside. Then head to Jumeriah Beach, if its too hot to actually enjoy the beach itself then enjoy the air-conditioning and lunch at one of the many offerings, we had lunch at the Cheesecake Factory and thoroughly enjoyed their delicious (and very large!) meals. Then head back to the hotel to rest up before being picked up for your desert safari. Spend the evening driving through sand dunes, riding camels, getting henna tattoos, smoking shisha, enjoying an Arabic dinner, and watching local dancers. A perfect way to end your Dubai adventure. Check out the clip I made of my travels in UAE- United Arab Emirates Travel in Under Two Minutes! Some great ideas here. Dubai is an unusual place with such juxtapositions - nowhere else like it really - still not sure if I really like it not. Dubai is on my list of "MUST VISIT", however I didn't know much about the historic part of Dubai beyond the souks - it looks really interesting. love that there is a mix of the old and new. My husband is really interested in visiting Dubai. It is good to know there are sights and attractions to keep you busy for days. Dubai has been a stopover for us a few times, but we haven't ventured out of the airport. Thanks for giving us an idea of things to see and do in the area.